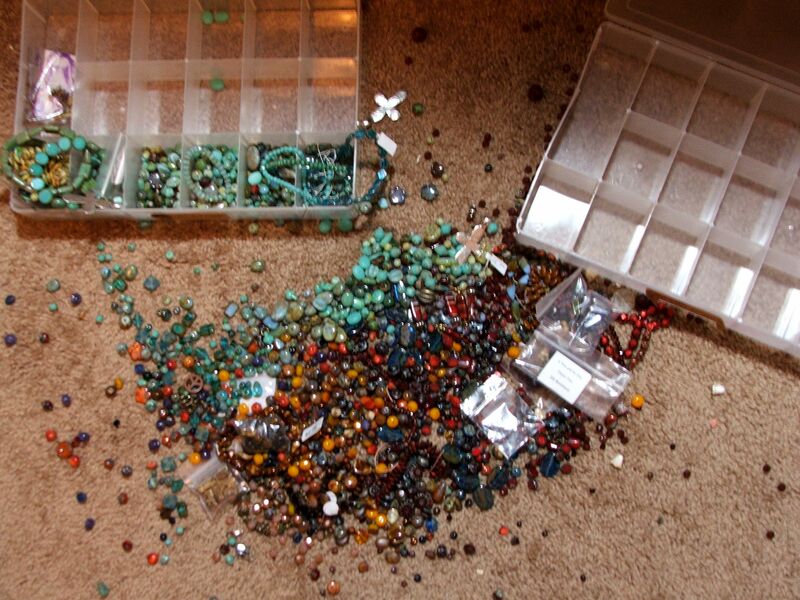 I knocked two bins of beads off my table today – ugghh – hate when this happens! Oh No! That’s gonna take a while to clean up. Yes, I’m beginning to see that – oh well, just add that to my other addictions – beads, chocolate, Pinterest, etc., etc.